[Performance] Spin and Speed are excellent. It is very easy to use. Again, because it is ZL carbon, it is very momentum and speed comes out. Just by hitting Blythe High Speed, it will return, just a little swinging from the backwards will make a great ball. If you block at the fore, you will feel like counting, even if you do not swing, you will get a block that you can not pick up. We purchased in conjunction with dignics. It is Zhangmoto inner force ALC. After all, compared to the outer carbon, I was anxious that the power of one shot fell even with the dignics. I think it is a very balanced racket. 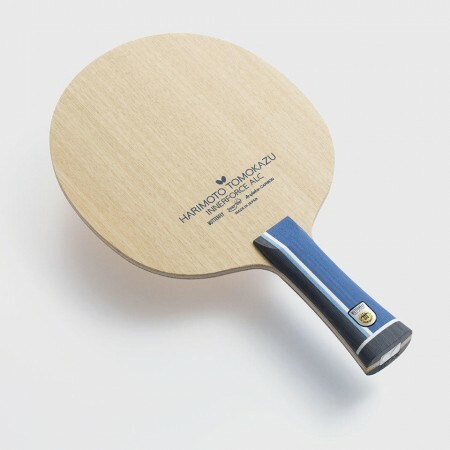 The weight of the racket is 91g and it is more important than the racket slightly lower than the middle, so I use a power tape to adjust the tip. I would like to use it a little more firmly. Not too strong myself （Experience：４〜５ years）	Hmm? It's easy to use, but the grip is long, and I think it's difficult to handle without the power that doesn't fly too much. I think that Dignics 05 and the compatibility really good! Any technology is easy to do!